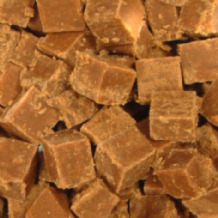 A soft crumbly butter fudge with a slight crystally texture NOT a chewy fudge. Prepared in copper vessles, cooled and hand cut. 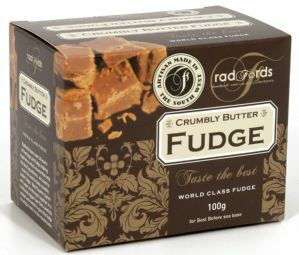 made in Somerset. 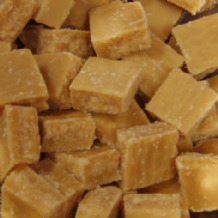 ingredients: sugar, butter (20%), full fat condensed milk, golden syrup (partially inverted refiners syrup), glucose syrup. contains milk and gluten, suitable for vegetarians.